As investment in financial technology continues to grow across the globe, the need to maintain an open-door policy in the UK financial services industry to innovation and technological change goes hand-in-glove with London remaining as the leading global financial services capital. Established banks and financial players are quickening the pace of innovation in the FinTech space, according to Luca Raffellini, director of business and financial services at Frost & Sullivan. 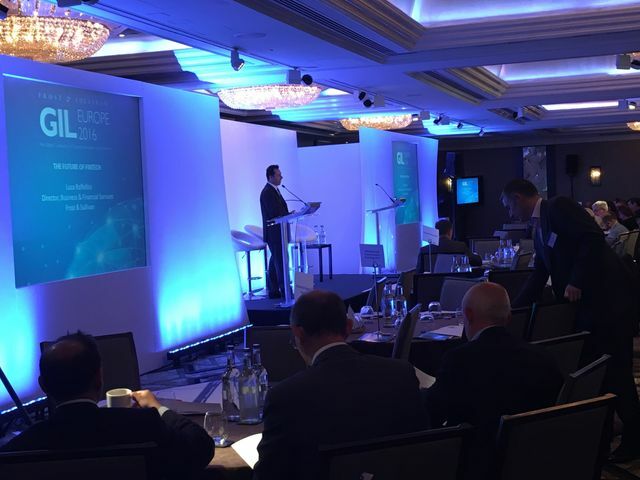 Speaking at the Global Community of Growth, Innovation and Leadership (GIL Europe) conference, held in London today, Raffellini discussed the current state of the UK’s FinTech scene and its future evolution. During his keynote speech, titled ‘The Future of FinTech’, the director attempted to dispel the idea that the term only covered venture capital-backed startups.